BOB ABERNETHY: It was just two years ago that Mother Teresa died. 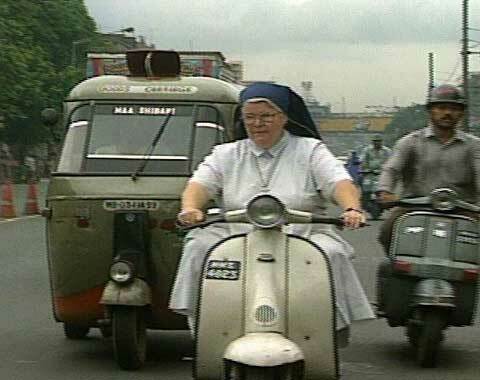 The work of her worldwide missionary order continues, and so does the work of another missionary nun in Calcutta, a nun who ministers to the poor in a different way. We have a report from Fred de Sam Lazaro. FRED DE SAM LAZARO: Calcutta’s streets have changed little in the decade since Mother Teresa first brought worldwide attention to them. 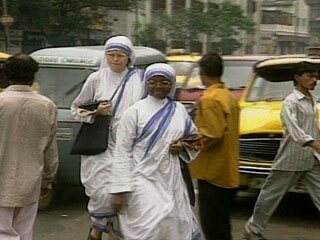 There’s commotion, destitution, and despair on the sidewalks, where the Missionaries of Charity sisters patrol daily. At the modest headquarters of Mother Teresa’s order, life is quieter these days. The media spotlight is off. Interviews, including one we requested, are shunned. And there seems little concern over whether the organization can survive without its charismatic founder, a woman who never held a fund-raiser, yet raised millions to create a 4,000-member worldwide order. Her continuing work has been enough to bring in the dollars and volunteers, according to Navin Chawla, Mother Teresa’s biographer. Mr. NAVIN CHAWLA (Biographer): And the strength of Mother Teresa was that she was able to get the yous and mes all over the world by building this enormous chain which has made this work possible. Otherwise, I ask you, how can four sisters or three sisters run an AIDS home in San Francisco? How can they run a soup kitchen in London? How can they feed 700 people every evening at the Vatican? It’s not possible unless people like us come forward to help, and that’s what’s happened everywhere. LAZARO: And it hasn’t stopped, apparently? 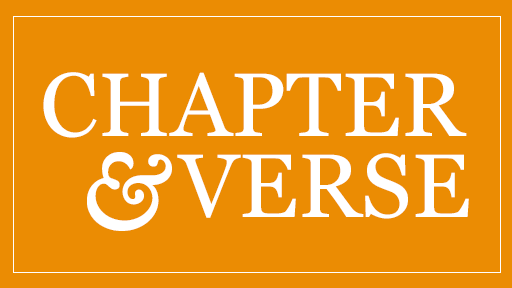 Mr. CHAWLA: And that hasn’t stopped. LAZARO: Gigantic as Mother Teresa’s work is in Calcutta, hers is a relatively narrow focus, meeting the immediate, urgent needs of the poor. For Sister Cyril Mooney, attacking the root cause of poverty is just as important. She has been a fixture on Calcutta’s streets for four decades. Like Mother Teresa, she came to be a teacher in schools run by the Loreto Order. Unlike Mother Teresa, who founded her own mission, Sister Cyril stayed with education. Sister CYRIL MOONEY: Mother Teresa — her work was never finished, because you give a handout to someone, people will come back for another handout. So as I say, her work is necessary in the case of starving, destitute people. Our approach is to educate the child, put the child standing on their feet, give them a good job, and then they’re settled for life. LAZARO: The Ireland-based Loreto Order that Sister Cyril joined has been well known since British times for top-notch schools attended by children of the upper crust. Sister CYRIL: So we were inside in our convent, the children came into school, and we taught them. And we had the same sort of conventual as we would have had if we had it in Ireland. So I began to go outside the gates of the convent, out up along the roads and into the highways and byways, and I was appalled at the misery and the poverty that I found. LAZARO: So when she became school principal, Sister Cyril threw open the imposing Loreto gates to poor children, tuition-free. Sister CYRIL: When I arrived here, I have these 700 well-off and 90 poor ones. So then I set about — I sort of, did a sort of a computation, that with the money coming in from the 700, could I increase the number of poor? And I calculated I could support 50 percent on the fees that were being paid at that time vis-à-vis the salary. But of course, we would not have a school with frills. We wouldn’t have all those extras and — like, you know, swimming pool and good … that sort of stuff would be out for us. So I made that choice. LAZARO: Next, she broke down another social barrier, opening one of Calcutta’s best school campuses to kids who are the poorest of Calcutta’s poor, those who have only the street to call home. These so-called rainbow children are provided a hot lunch, for many, the only predictable routine in their day. They come and go as they please to play or study. Teaching them is part of the students’ routine, the first interaction of any kind across the class line for most of them. Sister CYRIL: In fact, one night, I had a phone call from a parent who said, “I’ve got this little girl here and it’s already half past 10, and I don’t know where to drop her back to. She’s from the streets.” The father said then, “Can I keep her for the night?” I said, “Yes.” So he kept her, and the next day, she arrived in with the same uniform as the other ones, back into school. LAZARO: In India’s caste-based, sectarian society, these children aren’t likely to ever marry one another. But among the well-to-do, Sister Cyril says, there’s new sensitivity to the plight of poor people. For those on Calcutta’s lower rungs, this boarding facility offers food, shelter, and a chance to escape often abusive childhoods. UNIDENTIFIED WOMAN #1: I want to show my dad that I can — without you, I can, like, show — be something and show you, like, how you drink every time you drink and you — my daddy hits my mommy, hits me, you know, and I don’t like when daddy always — he tells me, “You’re not good in study, you don’t do anything.” But I will be something and I will show him that I can be. UNIDENTIFIED WOMAN #2: I was born in a broken family, actually. My mother was a prostitute. I was taken over by the Loreto nuns, where I was there like an orphan. I stayed with them. I completed my education. My greatest desire is to work for the poor, to serve them, because I’ve been through so much and I really feel like doing something. After God has done so much for me, I really want to be like that. MOHAMMED BAHREK: Before I came here, I was in the street. LAZARO: Thirteen-year-old Mohammed Bahrek could well be a poster child for the rainbow program. He wandered in off the streets a few years ago. Sister CYRIL: He seemed a very, very bright kid. And in two months, he was ready for KG [kindergarten], another two months for one, another two months for two. So within that first year, he completed up to the end of class three. BAHREK: I would like to be a ship captain when I be a man. I would like to see the ocean and the ships sailing. And I would like to go to the other countries to see how the other countries are. Sister CYRIL: And you — what’s up with you? LAZARO: Although Sister Cyril insists her goal is strictly to help families like Bahrek’s out of poverty, foreign missionaries have long been suspected of also trying to gain converts, a criticism leveled even at Mother Teresa. LAZARO: In Calcutta, this is Fred de Sam Lazaro for RELIGION & ETHICS NEWSWEEKLY.